With the winter almost here I know I will need to be buying a few coats. For me as a plus size Mom I have less choices of what I can buy in the store than other moms. I do however find great things online or in department stores that tend to last a few seasons because of the quality of items. Since I have been working more I find I have even less time to go out shopping. 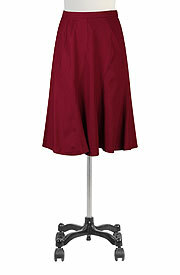 Being able to shop online for nice clothing makes shopping much easier for me. My sister recommended eShakti to me since she has a few products from them and mentioned they also carry a variety of sizes. 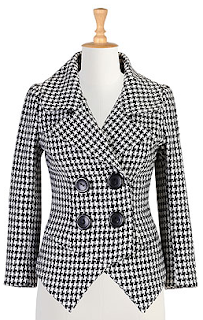 I have been loving the trend of Houndstooth and found the perfect coat with big buttons that look great! I am in love with this coat, it fits true to size, is very warm and super cute. Go bold in our dynamic black and white houndstooth jacket featuring a double-breasted button style on a classic silhouette. Polyester/acrylic, woven, no stretch, heavier weight. You can learn more about eShakti on their Facebook and Twitter pages. *I was not paid for this post. 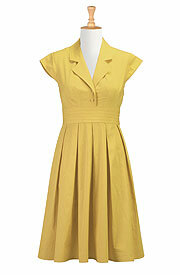 I was sent a eShakti item for my review. All opinions in the this post are my own.